Bel Air: This small 2.65-hectare Premier Cru climat in Gevrey-Chambertin sits like a crown atop (on the uphill, western boundary of) the magnificent Grand Cru Chambertin, Clos de Bèze. Facing east from a steep slope that reaches 300 meters, the soil is essentially a continuation of the limestone soil of Clos de Bèze, although Bel Air enjoys somewhat deeper soil with more marl. The vineyard was created from barren land in the 1960s and acquired Premier Cru status only in 1987. 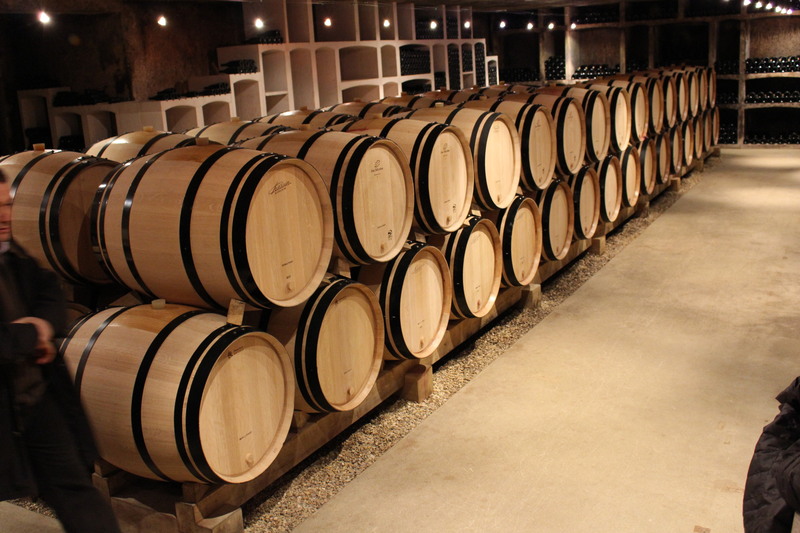 Some critics believe that especially in warm, ripe vintages, when the altitude is not a disadvantage, Bel Air can produce wine that closely resembles its neighbor, Chambertin, Clos de Bèze. The vineyard name presumably derives from the fine, panoramic view that can be enjoyed from the site looking down on Gevrey-Chambertin. Gevrey-Chambertin is a wine appellation that includes some of the finest and best-known French Burgundy wine. 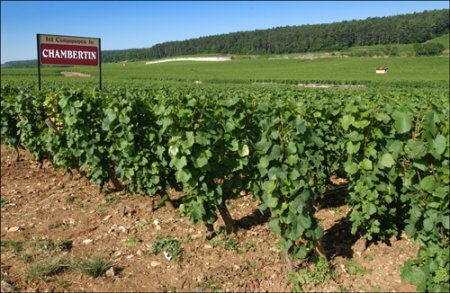 Wine so labeled must come from vines planted in the commune of Gevrey-Chambertin (or the adjoining commune of Brochon with which it is viticulturally joined) situated in the Côte de Nuits region of the Côte-d’Or department in Burgundy in eastern France. Gevrey-Chambertin produces some of the world’s most famous Pinot Noir-based wines. 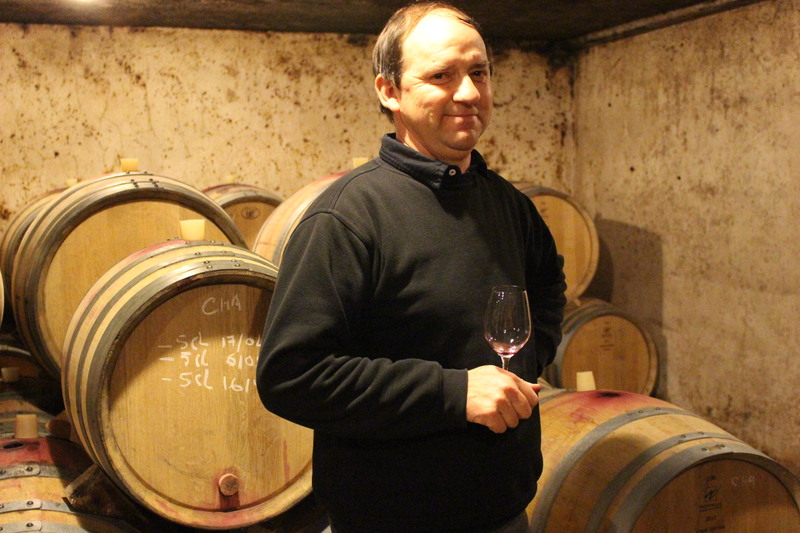 The best examples of Gevrey-Chambertin are rich, deeply-colored and sumptuous. Above all, according to Jancis Robinson, they are “complete” wines. Laying claim to the sobriquet, “King of Wines. Wine of Kings,” Gevrey-Chambertin, according to the poet Gaston Roupnel, expresses “All that great Burgundy can be.” Gevrey-Chambertin is the largest (532 hectares; about 2 square miles) commune in the Côte-de-Nuits. It lies just north of Morey-St-Denis along the Beaune-Dijon Highway (RN 74), 31 km from Beaune and 14 km from Dijon. The appellation comprises not only the commune of Gevrey-Chambertin but also 11 climats in neighboring Brochon. Unusually for Burgundy, there are classified vineyards on both sides of the highway. All wine from Gevrey-Chambertin is red, derived entirely from Pinot Noir. In 630 A.D., the Duke of Amalgaine donated a 14 hectare vineyard to the Abbey of Bèze, which was (avant-garde) one of the only cloistered orders to house both monks and nuns. The area was recorded in Roman records as “Gabriacus”, Romano-Gallic argot for goat, possibly after an epithet hurled at some of the randier monks by the Abbotess of Bèze. Perhaps because of its libertine ways, the Abbey of Bèze and its vineyards came under the authority, first, of the Benedictines at Cluny and later the Trappists of Cîteaux. As to the name Chambertin, by which name the best wines have long been called, a highly dubious but oft-repeated local legend teaches that a peasant named Bertin planted some vines nearby in a champ (field), conjoining his name and christening the vineyard Champ de Bertin, or Chambertin. Since the entire wine-producing area was under the firm control of rich and powerful monasteries, who profited handsomely from sales of wine, and since peasants by definition didn’t own land anyway, the most one can do is to smile tolerantly. 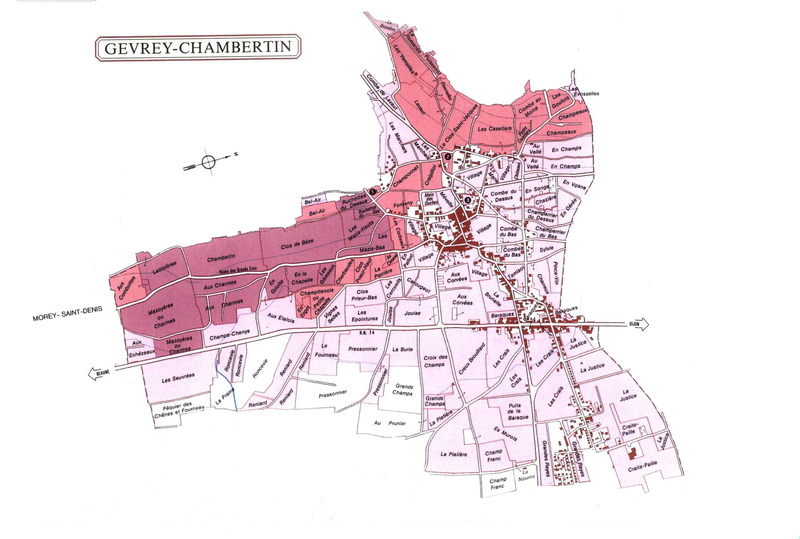 In 1847, King Louis Philippe, by royal decree, changed the town name from Gevrey to Gevrey-Chambertin. Napoleon was particularly partial to the wines of Chambertin and, according to another problematic tradition, drank little else from the signature bottles emblazoned with an “N”. Napoleon even laid in a good stock for his ill-fated journey to Moscow, and then suffered the double indignity of losing the war and having his bottles “liberated” by marauding Cossacks. Gevrey-Chambertin includes 9 grands crus totaling 87.06 hectares: Chambertin, Chambertin Clos de Bèze, Chapelle-Chambertin, Charmes-Chambertin, Mazoyères-Chambertin, Latricières-Chambertin, Mazis-Chambertin, Griotte-Chambertin and Ruchottes-Chambertin. These vineyards are situated south of the village on a slope with eastern exposure and an altitude of 260-320 meters. The soil is a mixture of clay and gravel, and white marl over a base of limestone. There are 26 premiers crus occupying 85.53 hectares, most notably Le Clos St-Jacques, Lavaux St-Jacques, La Combe aux Moines. Half of the premiers crus are sited around the perimeter of the grands crus. The other half, generally thought to be better on account of their calcareous clay soils, are found on a steep, southeast-facing slope to the north. The remaining 359.89 hectares, of which 50.59 lie in the adjoining commune of Brochon, produce the village wines of Gevrey-Chambertin. The flatter lands, which abut the highway, show higher concentrations of clay. 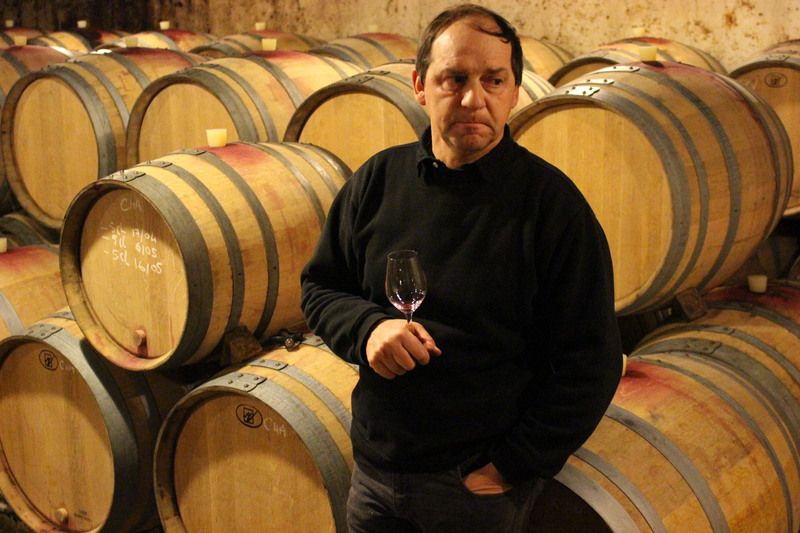 The finest producers of Gevrey-Chambertin include Armand Rousseau, Denis Bachelet, and the Domaine de la Vougeraie.